On social media we all unwittingly tend to expose more than we would do in an interview. This gives a glimpse into the person that will enter your workplace and gives a good indication of whether they will fit the corporate culture of your organisation and if they could pose a possible risk to your organisation. All it takes is one person to gain media exposure and traction, costing an organisation millions in losses. Social media scandals cost South African businesses in excess of R500 million during 2016 alone. 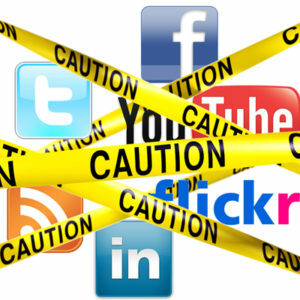 It is for this reason that Social Media Screening as a background screening tool has grown extensively across the world. Figures indicate that when it is conducted internally, 76% of employers go to Facebook first as opposed to 48% who use LinkedIn. Social Media Assessments lower the risks of bad hires, while matching the personality traits of the employee to the company culture. The best approach is a proactive, stringent and comprehensive approach. Our suggestion is that you really should not wait until it is too late. Know your employee’s strengths and weaknesses so that your business can flourish. This is the best way to avoid being caught unawares.